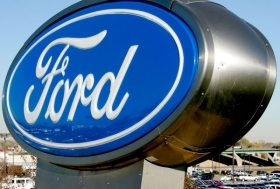 Ford: An uptick in the second quarter? BEIJING -- Fresh product and a focus on fuel economy is driving Ford Motor Co.' surging market share, not the recent recall troubles at rival Toyota, Ford marketing boss Jim Farley says. Ford's share of the U.S. market climbed to 17.4 percent in the first quarter, from 14.7 percent a year earlier, handing Ford the biggest point increase of any major player. On Monday, the industry reports April U.S. vehicle sales -- and Ford is projected to post a gain of about 26 percent from April 2009, according to a forecast this week by consumer Web site Edmunds.com. Ford's first-quarter sales jumped 37 percent to 441,708 vehicles, and the company booked a $2.1 billion profit, its fourth straight quarter in the black.Speaking in an interview at the Beijing motor show last week, Farley said the company doesn't have a market share goal but that the current expansion is a long-term sustainable trend. Model changes for the Taurus and Focus are generating increased buzz, and the brand is getting additional lift from increased resale values and decreased incentive spending, Farley says. Toyota's recall woes have increased cross-shopping for Ford in some markets. But Farley said Ford's business was already on the mend before the Japanese company stumbled. While Ford is improving its supply of vehicles to dealerships to meet increased demand, Farley conceded there are still shortages of some models, such as the Escape and Fusion. The company is putting greater emphasis on market research to better anticipate demand, he added.